Try a new dog park! Check out these doggie friend parks. Paws in the Park in Victoria www.victoria.ca/dogs. 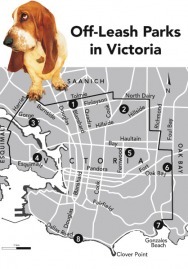 The City of Victoria has maps and times of all the dog friendly play areas. See there website for more details or download the map below and head to the park.